his edition of MRM’s News Bites features Bloomin’ Brands, Troon and Real Food, Nima, Eulerity, Tripleseat, Revel Systems, Hakkasan Group, Smith & Wollensky, Shake Shack, Burger King and WebMoney Transfer, Traliant, PJW Restaurant Group, OpenTable and The Greene Turtle. Bloomin’ Brands, Inc. appointed Jeff Carcara as President of Bonefish Grill. In this role, Carcara will be responsible for leading the operations and development for Bonefish Grill restaurants across the United States. He most recently served as the CEO of Del Frisco’s Emerging Brands. Troon® acquired RealFood, a Cambridge, Massachusetts-based food service consulting firm. RealFood will continue to operate under the RealFood brand and the company’s charismatic leader, Ed Doyle, will continue as president. RealFood has been serving the needs of the food and beverage industry since 1996 and has an extensive portfolio of more than 500 international and domestic clients. RealFood has opened over 400 restaurants and has 150+ years of combined operating experience. RealFood joins Troon’s portfolio of companies that includes Troon Golf®, Honours Golf®, Troon Privé®, CaddieMaster®, Troon International®, True Club Solutions®, and Cliff Drysdale Management®. With the acquisition of RealFood, Troon’s food and beverage department will triple in size and scope. The department currently oversees banquet and restaurant operations at more than 150 venues located at golf resorts, private clubs, daily fee golf courses and recreational facilities. By acquiring RealFood, Troon will soon open a new corporate office in Boston, allowing the company to be closer to Northeast clients and accommodate regional growth opportunities. 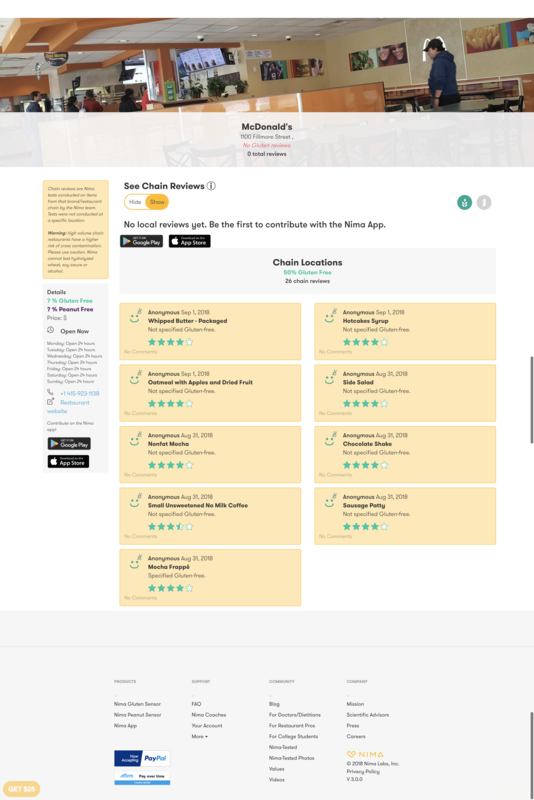 Nima introduced a new online tool that provides users with information on gluten-free and peanut-free dishes found at nearby chain restaurants. The findings are the results of a large testing initiative that aimed to give individuals with food allergies the ability to dine out with Nima-tested data from their favorite chains. Eulerity launched its digital marketing platform using machine learning and automation. It was designed to simplify the complex world of developing and executing digital marketing programs — all through a cloud based app. Eulerity was founded by a seasoned team of technology experts who have developed data-driven software and marketing strategies while working for some of the world’s largest brands like Google, Microsoft, and Yahoo!. “Managing digital marketing campaigns for hundreds of locations across thousands of websites has traditionally been a complicated, time-consuming, and expensive endeavor,” said Tanuj Joshi, CEO of Eulerity. “With Eulerity, franchisees can launch a local business marketing campaign in just a few taps and then get back to running their business. Brand consistency and delivering ROI have never been easier – all for a flat and transparent fee – a fraction of the cost of hiring traditional vendors. To date, Eulerity’s more than 100 clients include franchise companies such as Sylvan Learning, The Woodhouse Day Spa, Rockin’ Jump, Zerorez Carpet Cleaning, The Salad House, Leap Legal Software, and more. Eulerity’s software features customizable “Magic Ads” — automatically formatted for every channel including Search (Google), Social (Facebook, Instagram), Display (top 1000 sites/apps), & Video advertising (YouTube). Ads are analyzed daily using Eulerity’s proprietary algorithms to ensure marketing budgets are spent most efficiently ensuring maximum cross channel ROI. EventCamp, sponsored by Tripleseat, will host its third-annual conference at City Winery Nashville on April 30. EventCamp is the only conference of its kind to gather together sales and event professionals to discuss the booming areas of private dining and events for restaurants and hotels. The conference features educational sessions from various industry and marketing experts, offering attendees the exclusive opportunity to learn how to grow their business and make their venue stand out. Passes for EventCamp 2019 are now available. Stay tuned for more schedule updates and keynotes speakers to be announced. For more information or to register, click here. Sales and event managers in the hospitality industry can expect to be provided with new techniques for event management, as well as information on the latest technologies and trends to better their business and create memorable events. EventCamp covers practical subjects to equip professionals from restaurants, hotels, and other venues with insights on how to bring their business to the next level. Revel Enterprise: a business platform that empowers organizations to streamline the performance of multi-location or chain businesses and provides tools to scale and grow. Revel Essentials: a POS and business solution designed specifically to meet the needs of restaurants or retailers with 20 or fewer locations. Curated for the needs of larger chains with more complex needs, Revel Enterprise provides an intuitive, secure and flexible iPad-based POS that enables franchisors to comprehensively manage all their locations from one platform. Users can perform key tasks such as setting up groups of restaurants, centrally control menus, generate brand-level reports in real-time, analyze and manage ingredient inventory as well as other critical operations. Anchored by the industry’s market leading tablet, Revel Enterprise has been developed and informed by key insights and customer intelligence from Revel’s experience with numerous large restaurants and retail customers including Cinnabon, Auntie Anne’s, Carvel, GOLFTEC, Kung Fu Tea, Cheba Hut, Frutta Bowls, and Bahama Bucks. Having pioneered an easy-to-use POS system as an indispensable business tool for the SMB segment, Revel Essentials has been honed to uniquely and specifically support the business operations, customer channels, and payments requirements of this sector. Revel has tens of thousands of small to midsize business customers that continue to make waves and drive innovation across a multitude of industries. These clients include the Bay Area Indian street-food visionaries at Curry Up Now, Northwestern brewhouse chain The Growler Guys, Orange County culinary institution Wok Hei, San Francisco’s first deep dish restaurant, Little Star Pizza, and their expanded brand, The Star, Kosher-Chinese D.C. upstart Holy Chow, and the nationally renowned Lyric Opera House of Chicago, among others. Revel is continuing its focus and investment in this critical market. Hakkasan Jakarta, top photo, is now open. Located in Jakarta’s financial hub SCBD, Hakkasan Jakarta is the first Hakkasan restaurant to open since 2014 and also marks the entrance of the Michelin-starred Cantonese restaurant brand in Southeast Asia. Overlooking the Indonesia Stock Exchange and Pacific Place, Hakkasan Jakarta will feature unique elements not previously seen at other Hakkasan restaurants, notably massive glass windows and a rooftop terrace that showcase the sweeping views of the bustling city from the 25th and 26th floor of the luxury Alila SCBD Jakarta. The expansive rooftop will offer entertainment from Hakkasan’s top DJs, as well as banquettes and semi-private VIP booths, making it Jakarta’s go-to venue for memorable evenings. Hakkasan Jakarta is the first Hakkasan restaurant to offer this al fresco dining and nightlife experience. The Cantonese culinary experience at Hakkasan Jakarta will feature Hakkasan signature dishes like its stir-fry black pepper rib-eye beef with merlot, complemented by exclusive-to-Hakkasan Jakarta dishes that utilize local produce, including steamed red grouper with spicy kaffir sambal sauce, Musang king durian puff and braised Mutiara lobster with glass noodles and black peppercorns. Hakkasan’s innovative mixologists have also created special cocktails for Hakkasan Jakarta, including Corn & Pepper made with Bulleit Bourbon, Brem wine, Szechuan peppercorn shrub and aromatic bitters; and the Smoky Fuchow, created with Plantation Dark rum, Nihon-shu, lapsang souchong, cranberry, lemon, lime, and aromatic bitters. 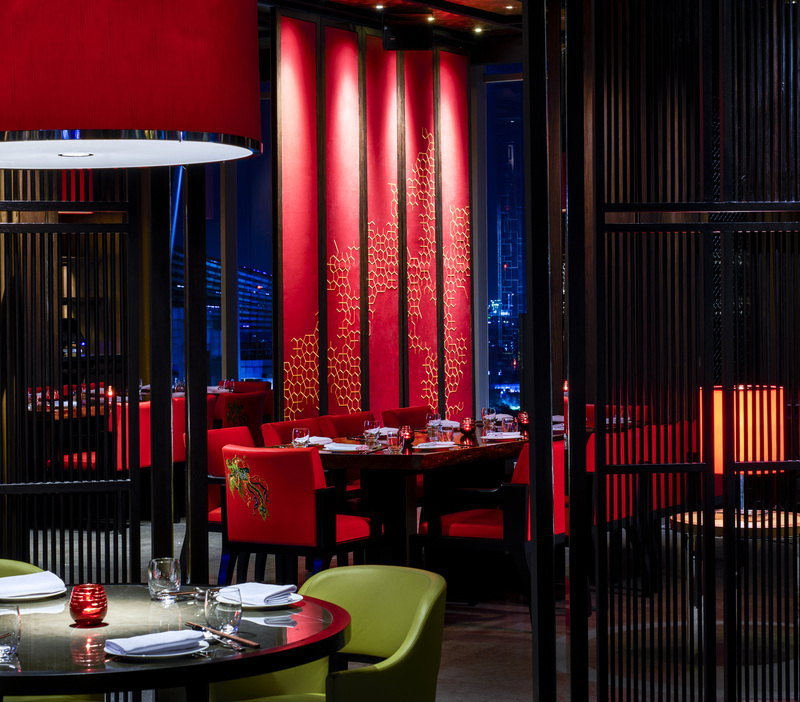 The restaurant is designed by GBRH Interior Design, featuring intricately-carved latticework and subtle ambient lighting to create intimate dining spaces that echo the glamorous interiors of Hakkasan’s original restaurants in London. Smith & Wollensky Restaurant Group (SWRG) expanded its global presence with the recent opening of their first licensed restaurant outside of the U.S. in collaboration with S&W Restaurants (Taiwan) Ltd., located at Breeze Nanshan Plaza in Taipei. Following the restaurant group’s firstl international launch in London in 2015, there has been a strong global demand for the classic “America’s Steakhouse” experience defined by Smith & Wollensky for over 40 years, company officials said. 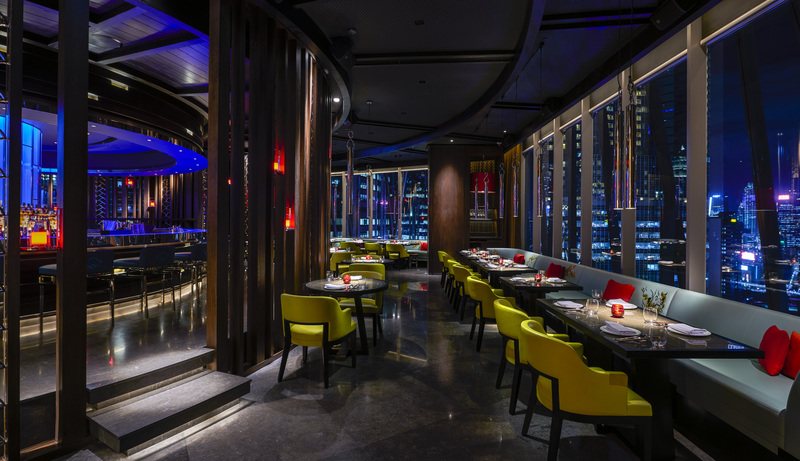 Located on the 47th floor of Breeze Nanshan Plaza, the 7,200 square foot restaurant boasts 160 seats, with bar, dining and private room spaces. A selection of seating options with square and round tables, as well as sofas, can accommodate a wide range of consumer demands and provides an ideal setting for special occasions, gatherings of family and friends, and business meetings. The restaurant features an elegant design scheme with a fusion of wood décor and classic green color, accentuated with orange highlights to create a stylish and distinguished design. The restaurant also offers a spectacular view of the magnificent landmark skyscraper Taipei 101 and the charming cityscape of Taipei through elevated 13-foot tall glass windows. An interactive exhibition kitchen allows diners a glimpse of the culinary action as well. The menu showcases USDA Prime steaks and signature filets sustainably produced by Double R Ranch, hand-butchered and further enriched through in-house dry aging for 28 days, such as a 46 oz. porterhouse steak and a specialty 10 oz. coffee and cocoa rubbed filet. The menu also features regional dishes exclusive to this location with carefully selected premium local ingredients, including roasted sturgeon, a 30 oz. Taiwan Tomahawk pork chop, and a 10 oz. uni filet. The savory and succulent roasted sturgeon is preserved through a low-heat sous-vide cooking method, boldly sprinkled with spices, and fried to a perfect golden brown. The fish is served with nest fern and smoked vinaigrette tomatoes to add a unique local touch to the dinner table. To accommodate the upmarket shops, office towers, foreign companies and banks nearby, the restaurant not only serves classic steakhouse dishes and distinctive cuisines of Taiwan in a welcoming setting, it also offers a live music bar, exclusive to this location. The original Smith & Wollensky location opened in 1977 in New York City. Jay Livingston was naned CMO for Shake Shack. He will be responsible for leading strategic and innovative marketing at Shake Shack. 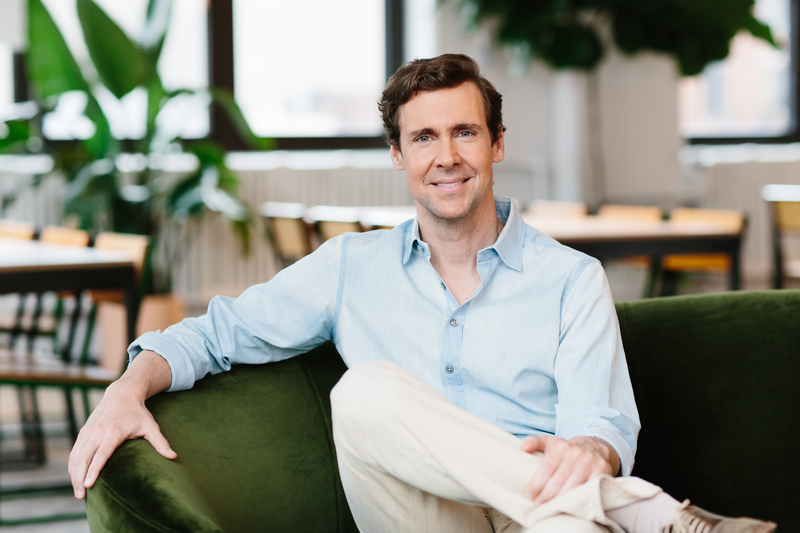 Livingston previously served as Chief Marketing Officer of BARK, makers of BarkBox, from July of 2017. Prior to that, he was Senior Vice President of Global Marketing at Bank of America where he held senior marketing roles across the corporation during his twenty year career. Jay is also an active angel investor and advisor in NYC, and is a founding member of Unite America. The search was conducted by True Search. 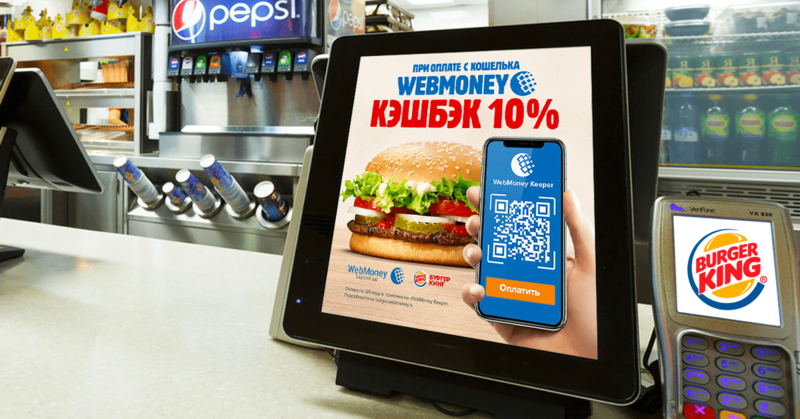 The chain of fast-food restaurants Burger King Russia in partnership with WebMoney Transfer are now offering a new payment solution. From now on, payments in all of the chain restaurants can be made from an e-wallet by scanning a QR code. Burger King has become the first chain of fast food restaurants where Russians can pay with a QR code. The specially designed by WebMoney feature which is integrated into a cash till allows you to make payments and receive payment information in real time. The customer just needs to simply scan a QR code displayed on the cash till screen and to confirm the payment. The transaction is instant. By selecting the new payment option customers can additionally benefit from the `10% Cashback on your WebMoney wallet` special offer. If it so happens that a customer has insufficient funds on their main wallet, they can complete payment by using funds from their WebMoney wallet in other currencies by applying the `Instant Exchange` function. Traliant is offering a new interactive training course for employees and managers in the restaurant industry. Preventing Discrimination and Harassment for Restaurants covers sexual harassment, discrimination, retaliation, bystander intervention, diversity and inclusion, unconscious bias and other timely workplace topics tailored for the restaurant industry. Accessible on any laptop, tablet or smartphone, Traliant’s anti-harassment training for restaurants is available in separate versions for employees and managers, including New York and California versions that comply with their respective new training requirements. Bite-sized episodes, interactive videos depicting real-world situations, and integrated quizzes engage and challenge employees to stay attentive throughout the course. Traliant’s Preventing Discrimination Harassment Training Suite contains courses that comply with the training requirements for New York State and New York City, California (AB 1825, AB 2053, SB 396, SB 400, SB 1343) and Connecticut (CHRO Act). Traliant’s eLearning courses are designed to raise awareness of behaviors that can lead to unlawful conduct, and motivate employees and managers to take the right steps to prevent harassment and discrimination and create a respectful, inclusive culture. Virtua Foundation has named Bob Platzer, founder and executive chairman of PJW Restaurant Group, as its 2019 Humanitarian Award recipient for his dedication and unwavering support of the South Jersey community. Platzer will formally receive the award at the 2019 Virtua Gala on March 2, at the Borgata Hotel, Casino and Spa in Atlantic City, NJ. Virtua President and CEO Dennis W. Pullin, FACHE, will present the award along with John J. Parker, chairman of the Virtua Foundation Board of Trustees. Since opening their first restaurant more than 35 years ago, Platzer and his wife, Donna, have supported a range of not-for-profit groups, including the Ronald McDonald House Charities, JDRF, Alicia Rose Victorious Foundation, and the Catholic Partnership Schools. In addition to providing philanthropic support, Platzer also donates his time to service projects and working with area youth. Recently, he helped to create a new playground for St. Cecilia’s School in Pennsauken, NJ—the same school he and his siblings attended. As the lead supporter of the 2019 Virtua Gala, Platzer and the PJW Restaurant Group will help to provide critical funding for the ongoing transformation of Virtua’s Camden campus, creating greater access to health care and health education for families. The Virtua Gala has raised more than $10 million since 2009. All proceeds from the 2019 Gala will support Camden-based services and programs—including the recently opened Virtua Health & Wellness center—through Virtua Foundation’s Power to Heal campaign. 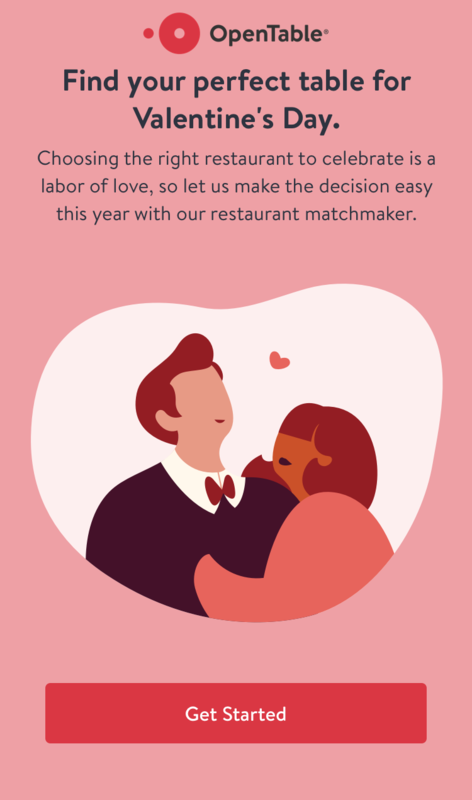 To celebrate Valentine’s Day, OpenTable is unveiling an online “Matchmaker” tool that will help diners find the perfect restaurant this year based on a series of fun questions, taking all the angst out of planning. 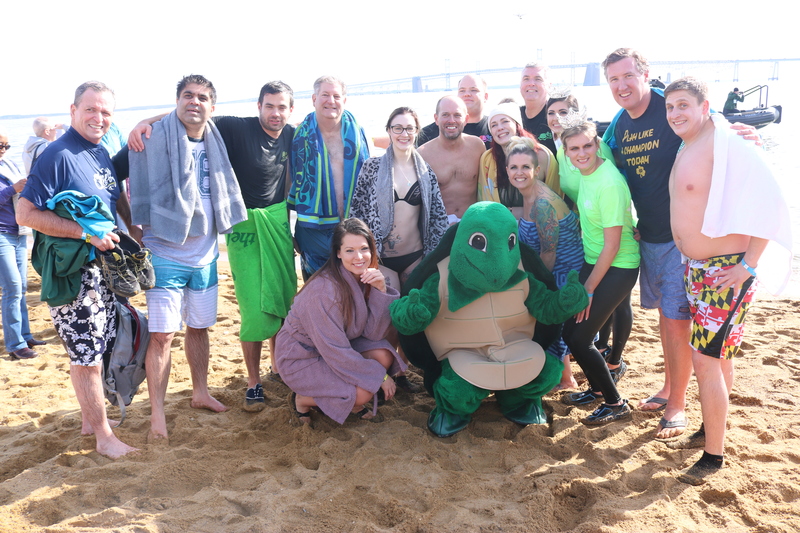 Late last month, team members from The Greene Turtle’s corporate offices in Columbia, Maryland, as well as some of its corporately owned restaurants, literally dove into the company’s commitment to charitable outreach when they took part in a “Polar Plunge” benefitting Special Olympics Maryland (SOMD). Fourteen brave souls from The Greene Turtle, including President/CEO Bob Barry, donned bathing suits and jumped into the Chesapeake Bay amid the cheers of many assembled supporters. This was the fourth year in a row in which The Greene Turtle participated in the Polar Plunge. Through this year’s efforts, the company was able to donate more than $25,000 to Special Olympics Maryland in support of more than 7,500 athletes who train and compete in sports year round, at no cost. To date, the company has raised well over $150K for the cause. Fans who stopped by to cheer on the company’s plungers were treated to some of The Greene Turtle’s most famous menu items, including Crab Dip, Hog Hammers, Apple Pecan Salad, Turkey Club Sandwiches and Chicken Caesar Wraps. The bar was open as well to those of legal age, and served up Bloody Mary’s, Mimosas, Orange Crushes and Rum & Cola. The Greene Turtle also raised money by hosting a “VIP Hospitality Tent” for which guests donated a $275 access fee. The Greene Turtle has a long-standing tradition of supporting the communities its restaurants serve and charitable organizations around the globe through programs including Funds for Friends, Tips for Tots, discounts for members of the military and support for organizations including Special Olympics Maryland, the USO and the Sea Turtle Conservancy.